Cherry Mobile, in partnership with Lazada Philippines, unveiled the most affordable Android Lollipop smartphone in the country, the Cherry Mobile Touch HD. 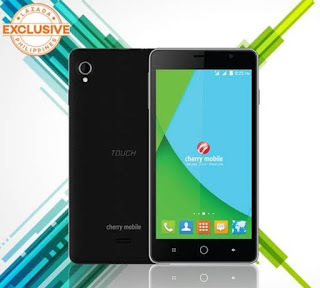 The Cherry Mobile Touch HD boasts a 5-inch IPS display with high definition resolution powered by 1.2GHz quad core processor coupled with 1GB of RAM and 8GB of ROM housed in a premium looking body. The processor is unknown as of this writing, but having that kind of frequency, we can assume that it is from Qualcomm, most probably Snapdragon 200, the same chipset found on Cherry Mobile Alpha Luxe, which is currently on sale at Lazada for the same price. This dual SIM Lollipop 5.1 phone weighs only 132 grams and comes with 2000mAh battery, which has a rated standby time of around 300 hours. Other specs include a micro SD card slot for memory expansion, 8MP rear camera and 2MP front camera. It will be exclusively on sale through Lazada tomorrow at exactly 12NN.